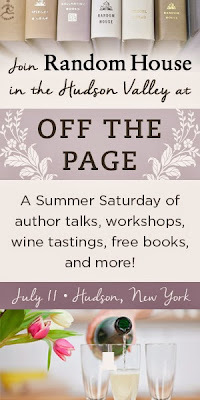 It has been announced that Tousey Winery and Hudson-Chatham Winery have both agreed to partner, along the New York Cork Report and Hudson Valley Wine Country, in an event hosted by Random House publishing, Off the Page at Basilica in Hudson, NY on July 11, 2015. 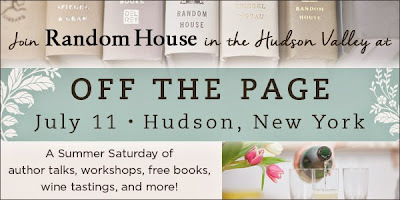 Random House’s Off The Page is a unique event that brings books to life for a day of inspiration and fun in New York’s scenic Hudson Valley. You’ll be welcomed with a complimentary Random House tote bag filled with summer reads, goodies and gifts. Grab an iced coffee, and start the day off with an inspiring talk by bestselling author and legendary food critic Ruth Reichl. Build your perfect summer day with a variety of book-inspired sessions and interactive workshops on book clubs, cooking, travel, and living your best life. Gretchen Rubin — the author of the blockbuster bestseller The Happiness Project — will end the day with an energizing conversation about habits and happiness, before guests adjourn for a delicious wine tasting of Hudson Valley favorites. Off The Page is a day of literary discovery, filled with surprises and plenty of great reads to take home and devour. Garden State winemakers are making the most of the month of May with two statewide promotions this May 2015! With another long, cold winter firmly in the rear-view mirror, Spring has arrived and the vineyards of the Garden State are bursting back to life! 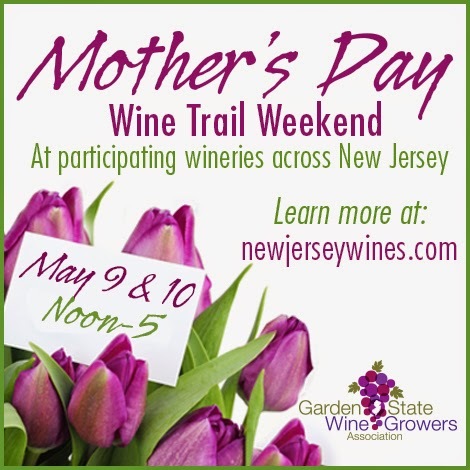 The tradition continues as New Jersey wineries host the annual Mother’s Day Wine Trail Weekend May 9th & 10th at winery tasting rooms across the state. Spread from Sussex to Cape May Counties, there is a winery in the back yard of every NJ resident, and there are many ways to celebrate the special women in your lives through NJ wine country. Travelers along the trail can expect special wine tastings, live music, food pairings, and plenty of fragrant fresh flowers (both cut and grapevine) heralding the season. There are over 50 wineries open now in the Garden State, and they will all be open to visitors during the special weekend. Some wineries, like Terhune Orchards & Vineyard in Lawrence, Old York Cellars in Ringoes, and DiBella Winery in Woolwich will offer complimentary tastings for mothers. Others such as Sharrott Winery in Winslow, Natali Vineyards in Cape May, and Salem Oak Vineyards in Pedricktown will have fresh flowers to send home with Mom. Some wineries, like Valenzano Winery in Shamong and Hopewell Valley Vineyards in Pennington will have vendors on site for mothers to pick out a little something special for herself after doing a wine tasting. Cava Winery in Wantage will offer a special luncheon for the holiday, and Tomasello Winery in Hammonton invites guests to a traditional Mother’s Day brunch. 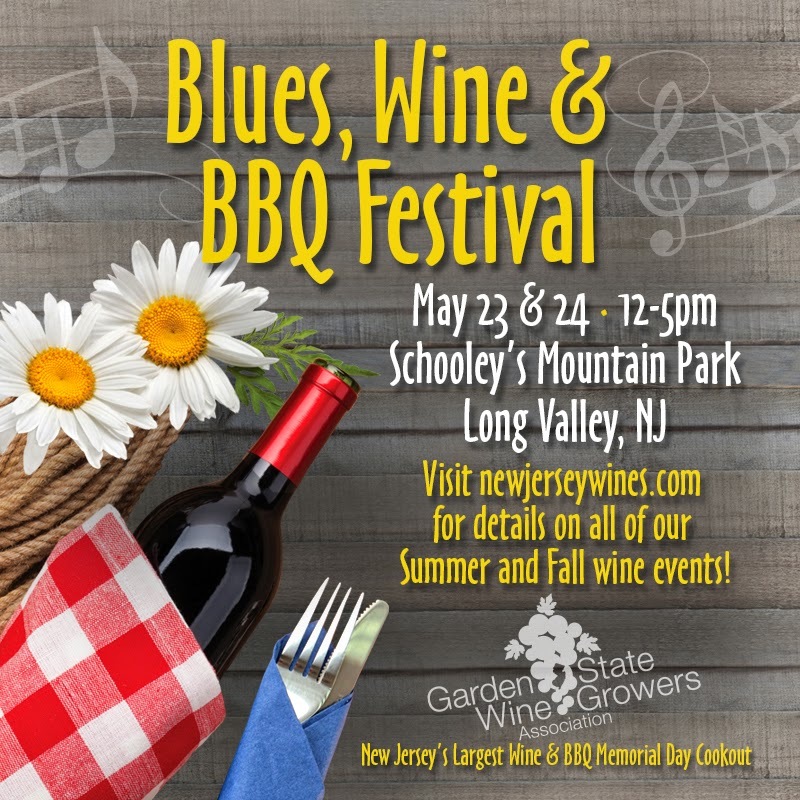 Twenty of New Jersey’s premier wine producers will come together Memorial Day weekend for the Garden State Wine Growers Association’s newly unveiled “Blues, Wine & BBQ Festival,” to be held at idyllic Schooley’s Mountain Park in western Morris County. The new theme and new location for the GSWGA represents efforts to reinvigorate wine festivals throughout New Jersey, and promises to bring a better festival than ever before. The event will feature hundreds of locally produced wines, rockin’ blues bands, succulent BBQ from authentic pit masters, kids’ activities, and plenty of family fun over Memorial Day Weekend. The two-day event highlights some of New Jersey’s finest wineries, which have tripled in number across the state in the last ten years. Festival attendees will have the opportunity to taste hundreds of wines made from New Jersey grown grapes, meet the winemaking teams, and enjoy the latest vintages and releases. New Jersey wines continue to be regularly recognized as high quality in national and international wine competitions, most recently garnering several medals at the TEXSOM and Finger Lakes International wine contests. A VIP ticket will gain attendees entry into a special tented area with spacious seating and a catered lunch buffet. Only 100 VIP tickets will be sold for each day, and the Association expects to sell out the enhanced experience. On Saturday, Slim Chance and the Gamblers will roll the dice on the music stage. They will be followed on Sunday by New Jersey Blues band The Fins. Besides the Blues rock, there are a couple of other events on the stage that set this festival apart from the other four produced by the GSWGA. Guests will have the chance to cheer on their favorite winery as the winners of the New Jersey Wine are announced at 1:30pm at the music tent. The contest, organized annually by Dr. Gary Pavlis of Rutgers University, has been awarding three “Governor’s Cup” trophies for almost thirty years. In addition to the Winery of the Year award, Cups are given in the best overall, best dessert, and best fruit wine categories. Judges this year include sommeliers, fine wine distributors, boutique liquor store owners, and restaurateurs from across the state. Over 300 wines were entered in hopes of earning the coveted trophies. At 4:00pm on Sunday, one lucky person will win an international wine trip! The GSWGA operates a passport program, with all association members included in the book. Those who travel the entire New Jersey wine trail and collect stamps from the wineries are entered into an annual drawing for the vacation. This year the winner will book their real passport to Spain for a wine & food excursion from Madrid to the Spanish old country. The GSWGA also has created an app version of the passport program, which includes maps of NJ wine country, a calendar of events, and the ability to collect stamps by checking in to NJ winery tasting rooms. Tickets to the event are $25 at the gate, but advanced reduced rate and group rate ticket sales are online now. Ticket information, a festival guide, and the full list of winery participants can be found visit www.newjerseywines.com.